September 14,1620, Plymouth, England: The Mayflower sets sail for the New World carrying 102 settlers, the Pilgrims, and approximately 30 crew members. The Pilgrims, English Puritans, fled England in 1608, to Holland because they were being persecuted by the Church of England. The Church of England called them separatist. Some writers say only 35 of the settlers on the Mayflower were, in fact, Puritans. Why did the Pilgrims return to England from Holland to establish an English Colony? It is reported by many that the journey to Holland from England was for religious freedom. This appears to be true. Many writers claim that the flight form Holland to the New World wasn’t about religious freedom at all. This statement, although accurate, is misleading. So while it is historically correct that Holland wasn’t persecuting the Pilgrims for their religious beliefs, it is equally true that the practice of those beliefs played a critical factor in the Pilgrims decision to board the Mayflower and start a new life in the New World. Every Day is Thanksgiving Day! GOBBLE GOBBLE GOBBLE! GOBBLE GOBBLE GOBBLE! The specialized doorbell rang throughout large house. “COME IN!” a voice shouted from somewhere within the house. As the door opened, two young children just missed being hit as they ran by the door and up the steps. “Be careful!” a father called from an adjacent room, while grinning and shaking his head. The final family to arrive came through the door, looking out for more children, and made their way into the kitchen, where they placed their dishes on an already crowded counter. “Oh! What do we have here?” several women working in the kitchen wanted to know, along with various others crowded around, hoping to sneak a bite of food before dinner - preferable without getting their hand smacked for their troubles! “Salad and dessert,” said the youngest member of the recently arrived family, pointing at each dish according. The hostess directed the girl where to place the dessert until later, while making room for the salad on the counter that would serve as the buffet. Although traditionally associated with the United States of America, we are not the only nation to celebrate Thanksgiving. 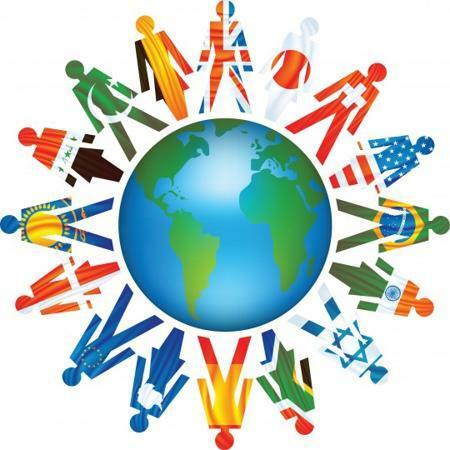 Nations throughout the world also celebrate a day called Thanksgiving, often in their own way. Canada celebrates Thanksgiving every year on the second Monday of October. The first Canadian Thanksgiving celebration is believed to have occurred in present-day Newfoundland in 1578, 43 years before American started celebrating! Like America, it began as a day to give thanks and celebrate a successful harvest. You would probably recognize many of the dishes served, including pumpkin pie, sweet potatoes, and stuffing! During the American Revolution, many of those loyal to England moved to Canada, taking with them many of the American traditions. Unlike America, where it is a public holiday in all 50 states, Thanksgiving remains optional in several of Canada’s Atlantic provinces. Grenada celebrates Thanksgiving every year on October 25. Grenada’s celebration, however, bears no resemblance to that of the United States or Canada. On October 25, this Caribbean nation celebrates the anniversary of the US led invasion of the island in 1983, following the murder of the Prime Minister Maurice Bishop. The US led invasion overthrow the party responsible for Maurice’s murder. Thanksgiving Day is considered a public holiday in Grenada, meaning banks and most business are closed. Liberia celebrates Thanksgiving every year on the first Thursday of November. Like Canada, the tradition came from the United States. The nation of Liberia began in 1820, when freed black slaves returned to Africa, bringing with them the tradition of Thanksgiving. 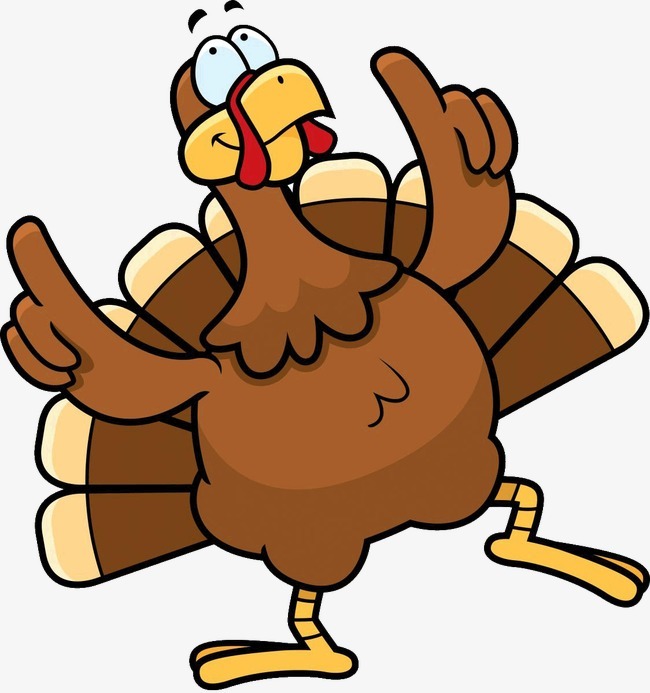 Many of the foods, such as turkeys and pumpkins, have been replaced with local food items such as roast chicken and mashed cassavas, and are often served quite spicy. The Netherlands remember those who came to Plymouth Plantation via the city of Leiden, where many births, marriages, and deaths were recording at the Pieterskerk (St. Peter’s church). In commemoration, a non-denominational Thanksgiving Day service is held every year Pieterskerk on the morning of Thanksgiving Day in the United States. Norfolk Island, an Australian territory, celebrates Thanksgiving on the last Wednesday of November every year. The holiday was introduced to the island by visiting American whaling ships. Prior to World War II, the United States used to celebrate Thanksgiving on the last Thursday of month, likely how Norfolk Island came to celebrate on the last Wednesday of the month. Germany celebrates Erntedankfest, the Harvest Thanksgiving Festival, in early October every year. The holiday has a significant religious component to it and is similar to the United States in that the celebration includes large harvest dinners and parades. Oktoberfest, the Bavarian beer festival often coincides with Erntedankfest. Japan celebrates 勤労感謝の日 (Labor Thanksgiving) every year on November 23. The national holiday developed during the American occupation following World War II. The holiday celebrates labor and production and giving one another thanks. The Japanese celebration is also related to an ancient harvest ceremony. Puerto Rico, a territory of the United States, celebrates Thanksgiving on the same day as the rest of the United States, every year on the fourth Thursday of November. Similar to Liberia, Puerto Ricans have substituted traditional American food for native, local food including tastiness (fried plantains), turkey stuffed with mofongo, slow-roasted pavochon, roast pork and rice and beans, and, for dessert, tembleque (a cinnamon-coated coconut custard). 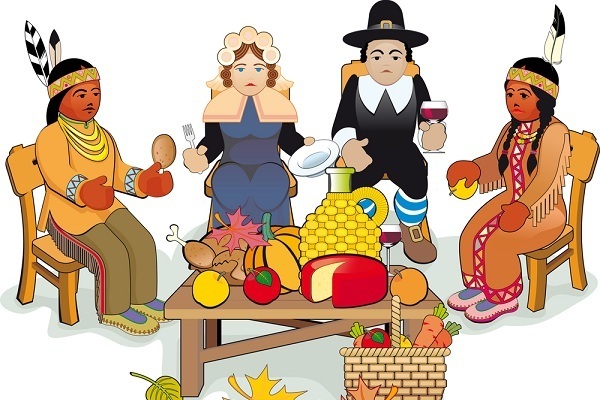 Britain, and numerous other nations, do not celebrate Thanksgiving, however they celebrate Harvest Festivals. These festivals can occur at any time throughout the year, in accordance with the nation’s differing climates and crops. In earlier times, farmers would often, at the end of the harvest season, enjoy a harvest supper and invite all those who had participated in the harvesting of crops to partake in the meal. Often the celebration would include games. Happy Thanksgiving! Make Thanksgiving Your Way of Life! Everyday, before she went to bed, Kara prayed to the Lord, but her prayer was not what you may expect. She did not ask for help for her problems or for alleviation from her suffering - she did that in her morning devotions. Instead Kara took this time to thank God and praise Him. She thanked Him for the blessings she had received that day, for the situations in which she had seen His hand working, for the amazing beauty of His work. Some days it was more difficult than others to find something for which to be thankful. On the days she really struggled, she began by thanking God for sending His Son to earth to die, so that she could be saved. And you know what? That usually led to something else for which to be thankful. For Kara, everyday was Thanksgiving Day. When you think of the thanksgiving, what do you imagine? Turkey? Pilgrims? That is what we are taught in school, but that’s not what thanksgiving is. The pilgrims were not even the first to celebrate thanksgiving!